I was walking my dog this morning when I noticed a penny in the street. It was in the crease between the actual street and the asphalt lump that rises to form a speed bump. Speed bumps are prevalent in my neighborhood, and they’re irritating but, like squirrels, they continue to exist without regard to my opinions about them. As I have done before, I looked at the date stamped on the penny to see if there wasn’t something to be said about that year. And the year I saw, 1975, would have to be considered a very significant–if not the most significant–year in my life, at least so far as baseball is concerned. At the start of that year, the six-year old me had no interest in the game, but by the end of that year, the seven-year old me had an attachment to it that won’t leave me until I take my final breath. That’s how pivotal the year was for me. It began in the spring, when I convinced my parents to sign me up for a baseball team in the Khoury League. Most of the kids on the team were my classmates at school, and this was a chance to see them outside of school, as well. I learned about the rules of the game, and swung a bat for the first time in my life. It was a feeling of departure from toys and childish things. Grown-ups played baseball, and now I was doing it, too. That was very important to me. I also began collecting baseball cards, as kids did back then. The first time that I ever walked into a store, all by myself, and bought a pack of Topps baseball cards was an empowering moment. I wouldn’t have let either of my seven-year olds do such a thing, but it was a different time back then. 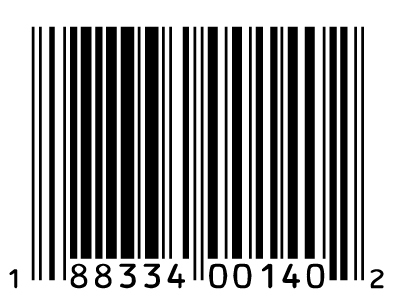 Nobody knew what a UPC code was, for instance. You could probably walk around the store with a cigarette, if you wanted to. And a little kid could take some pocket change up to the cashier and walk away with pictures and statistics for ballplayers he had never heard of before. What could be any better than that? There wasn’t much in the way of baseball coverage on TV, which was my primary window to the wider world in those days. There was the Saturday Game of the Week on NBC, and I started watching that. My father realized that I was old enough to appreciate the game in person, so he bought tickets for a double-header in St. Louis against the Mets in July. I remember my dad and his brother, my Uncle Mike, using a pocket schedule and the Cardinals’ pitching rotation to determine who the pitchers were going to be that day. It was something worth looking forward to. The first day I ever went inside a major league ballpark, it felt like a switch had been thrown. The crowd, the noises, the commotion, the vendors, the whole scene was exhilarating for me. The Cardinals won the first game, and lost the second one, but I left feeling that something had revealed itself to me. It’s not a regular feeling to have, especially when you’re that young. But I felt it on that day. The next big step in my baseball progression was discovering the Cubs and WGN Channel 9. I have written about that game here, and the call of Jack Brickhouse and the visuals of Wrigley Field acted as a 1-2 puch for me. This team played the same game that the Cardinals did, but they were on TV every day and the Cardinals weren’t. The sale had been made, as far as my baseball loyalties ran. The final touch on my conversion to baseball came in October. Watching Luis Tiant pitch, and seeing the Big Red Machine do its thing, and understanding that these games meant more than the regular season games did, all brought the game home to me. It wasn’t summertime anymore, but baseball games were still going on, anyway. The long rain delay between Game five and Game six made me want to see the game that much more when it did come back. And then there was Game six…. I’m certain that I wouldn’t have been able to stay up to watch Carlton Fisk’s home run off the left field foul pole. But I remember being told that if Boston won, there wouldn’t be any more baseball until spring. I didn’t want that to happen, and I was relieved when there would be one more game the next day. Game sevens ever since have been special for me, especially because they’re so rare. The end of the 1975 baseball season left me excited for the 1976 season. There’s always going to be a next year, and this year’s games are just about to start. The wheel keeps on turning, as it has since I was seven years old. I’ll be the first to admit that baseball is not life, but it does help to shape its contours. And there’s nothing else quite like that for me.